The spiritual home of the catholic faith is its own nation. At 0.2 square miles with a population of just 466, the Vatican City is world’s smallest country. The iconic Basilica of St Peter was famously designed by artist Michelangelo and is not to be missed. The huge cathedral has an elaborate decorated interior and from the top of the dome marvel at the great views across Rome (free if you climb the 323 stairs up, or 6 Euros by lift). The Basilica’s crypt includes tombs of the former Popes and there are several daily masses held in the cathedral, and the option of guided tours. Situated on the French Riviera coast near Nice is Monaco. With a population of 32,500 crammed into its 0.7 square miles, Monaco is the second smallest country in the world. The wealthy area is home to multi-million pound yachts in Monte Carlo harbour. The most glitz and glamour are during big annual events such as the Tennis Masters Series in April and the Formula 1 Grand Prix in May, along with festivals like the Monte Carlo Opera. But even between the extravaganzas, Monaco’s scenic walking routes, pretty costal bays and al fresco cafés make it an appealing destination. Located in northern Italy on Mount Titano, San Marino has the smallest population of all the members of the European council, with just 29,000 inhabitants. It is also one of Europe’s oldest nations with its existence dating back to the 4th century. Apart from Vatican City, it is the only city-state completely surrounded by another country. San Marino holds a wealth of history with plenty of museums and monuments, not to mention the medieval centre with its narrow winding streets, churches and ancient houses. Cars are banned so you can explore the city’s ramparts peacefully by foot. You can also head to the peak of its mountain for a stunning panoramic view. At 62 square miles and a population of around 34,000, Liechtenstein is neighboured by Switzerland and Austria. If you’re the sporty type then there’s loads of hiking and cycling fun to be had in the stunning mountain ranges or valleys during summer, and skiing, ice skating and sledging in the winter months. If you’re not the sporty type you can enjoy its pretty villages with quaint chapels, and there’s plenty to do in Vaduz, the country’s capital. Its landmark is the royal family home – the medieval castle of Schloss Vaduz, and other sites include the Postage Stamp Museum, the National Library, the Ski Museum, the National Museum and the Liechtenstein Art Museum contains which includes works by Rembrandt, Rubens and Van Dyck. * Premium £4.23 includes Insurance Premium Tax based on an adult aged under 55 taking out a “Standard” Single Trip 24/7 travel insurance policy for 3-days in Europe excluding personal possessions cover and purchased within 14 days of departure date. Cover details and prices are correct at time of going to press (March 2011) and are subject to change. 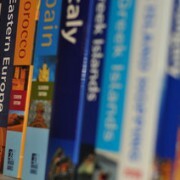 Travel guides, do you bother?